Felice Hodges has lit up Cricket Fine Art in Park Walk with “Imagined Spaces,” her first solo exhibition with us. 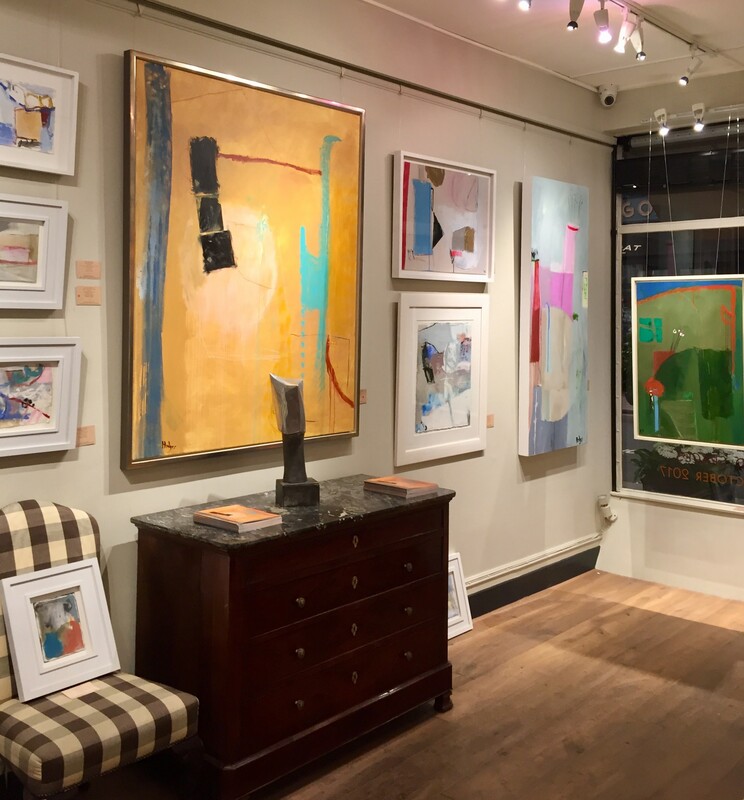 It brings together a stunning and captivating collection of her latest thought-provoking abstracts and they are proving very popular with our clients. The multi-talented Felice is not only a remarkable artist but trained as a musician and is a highly accomplished pianist. 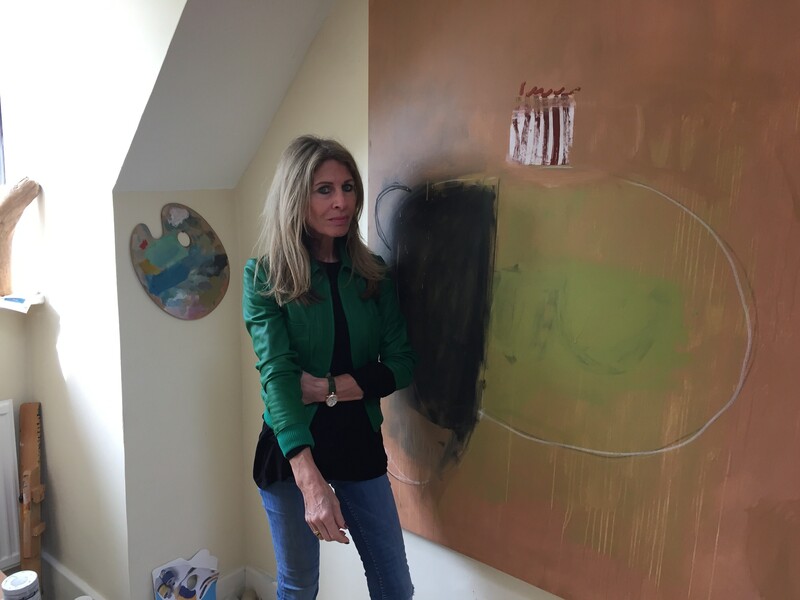 American by birth, but married to an Englishman, her home is in the beautiful Dorset countryside, just a few miles from the village of Cranborne. This is home to 10 Castle Street, a Grade II listed country house with glorious gardens that has been converted into a wonderful private members club and hotel. It is small, intimate and a peaceful haven and another perfect setting to enjoy Felice’s work, with her paintings adorning many of the reception rooms. “Imagined Spaces” opened last Tuesday evening with an extremely enjoyable and well-attended launch party. Attractive and self-effacing Felice looked divine dressed from head to toe by the designer Rick Owens based in South Audley Street. If you haven’t already had a chance to view this exhibition then this week is your last chance.